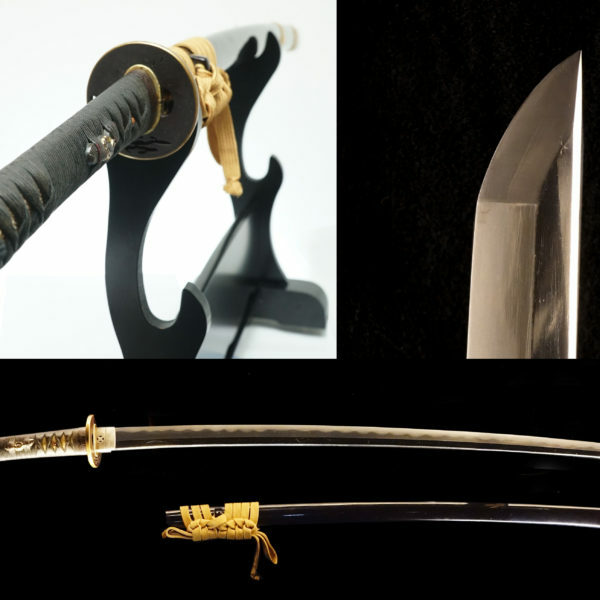 The price of authentic Japanese swords is a lot higher than Japanese imitation swords. 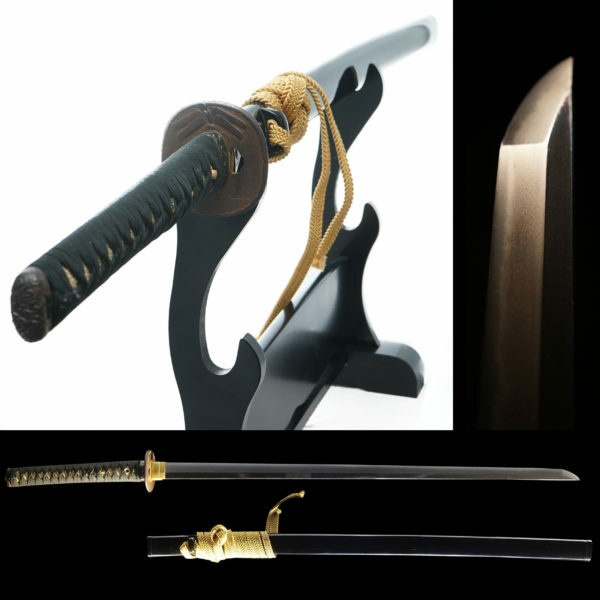 All of them were hand-forged, and most of the swords sold on our website are antique swords, which are at least 150 years old or older. 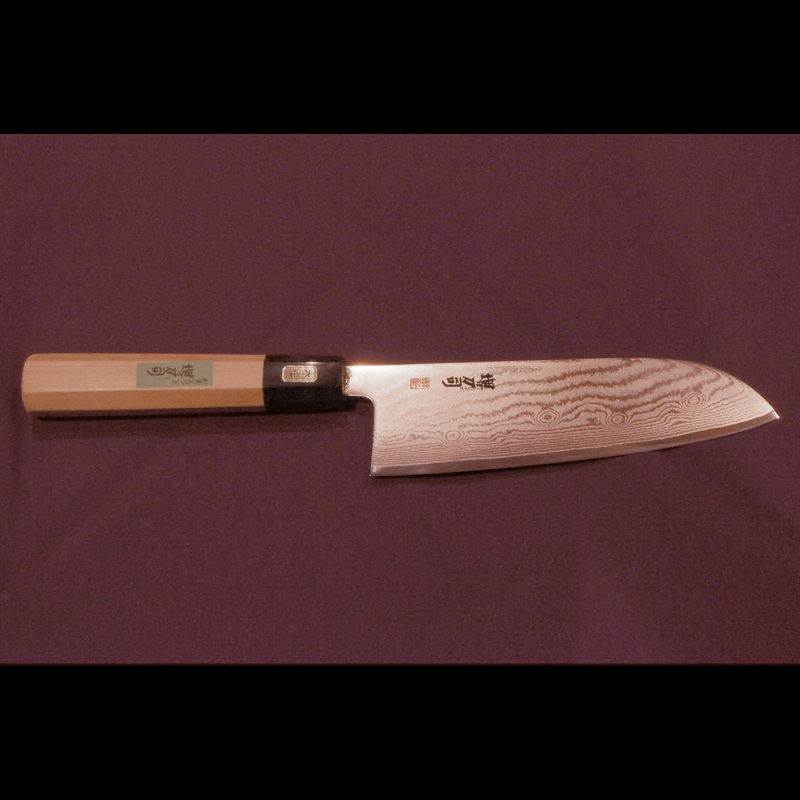 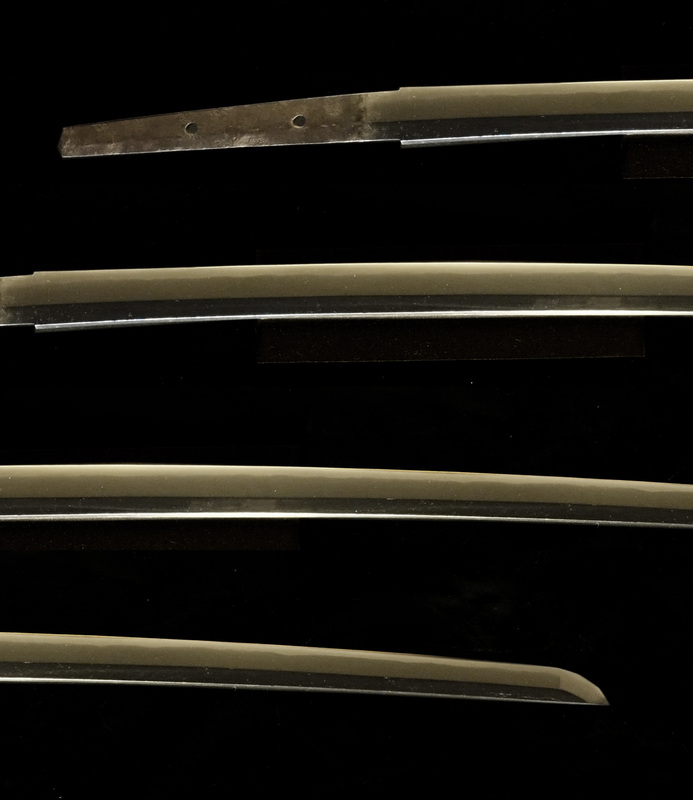 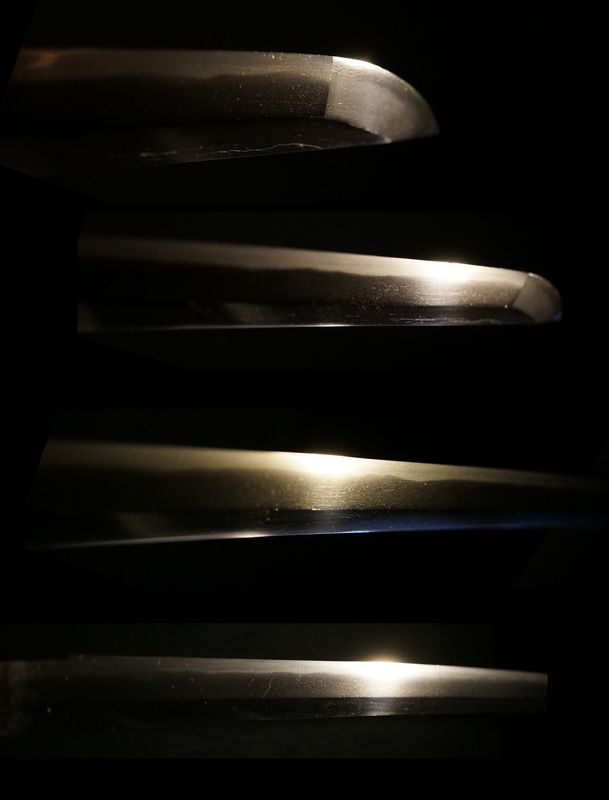 Also, the blades are made of Japanese special carbon steel called TAMAHAGANE. 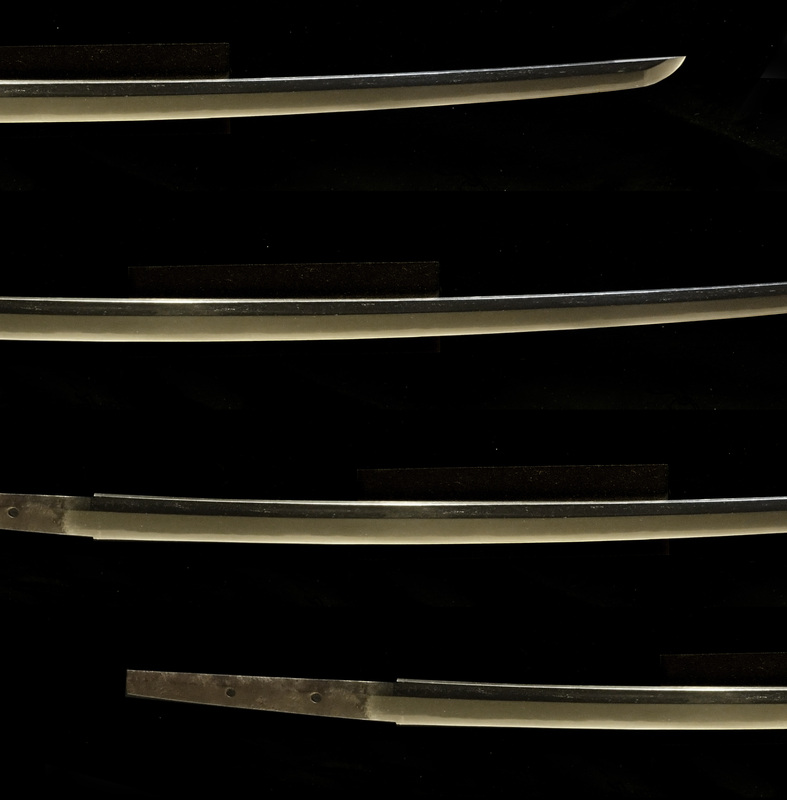 That means the swords are edged, and some of them are super sharp. 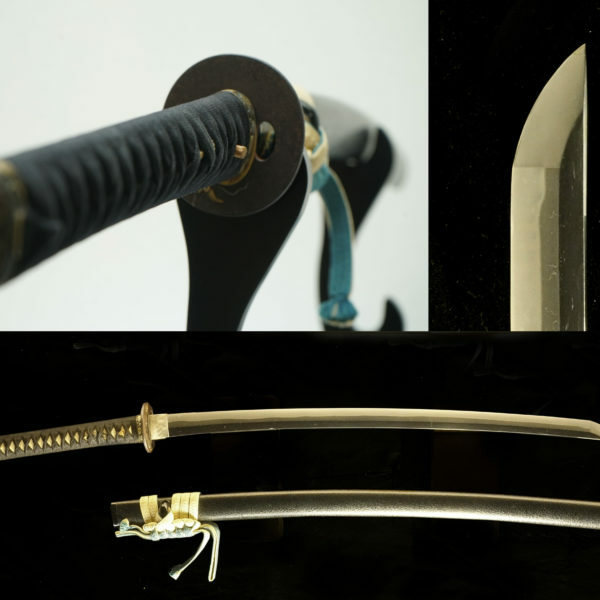 All the Japanese swords are considered cultural assets for Japanese Cultural Agency. 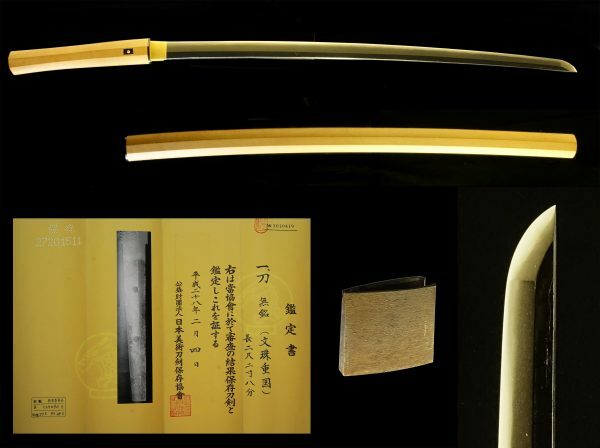 Therefore, we will need to obtain its export permit from them before we ship the sword abroad. 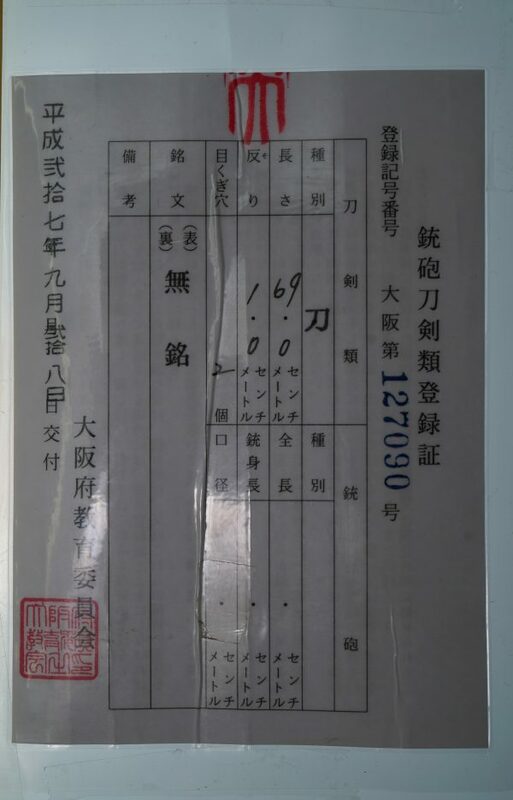 It will take about 4-6 weeks to receive this permit. 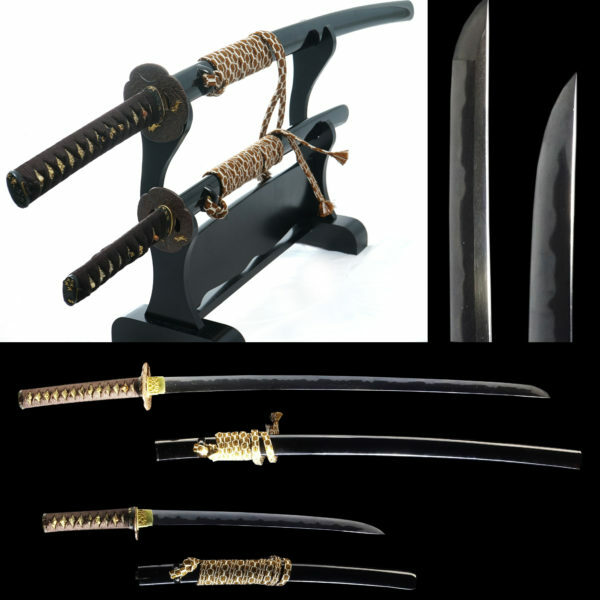 Including the shipping time, we would like you to expect at least 1.5-2.0 months to receive the sword you order. 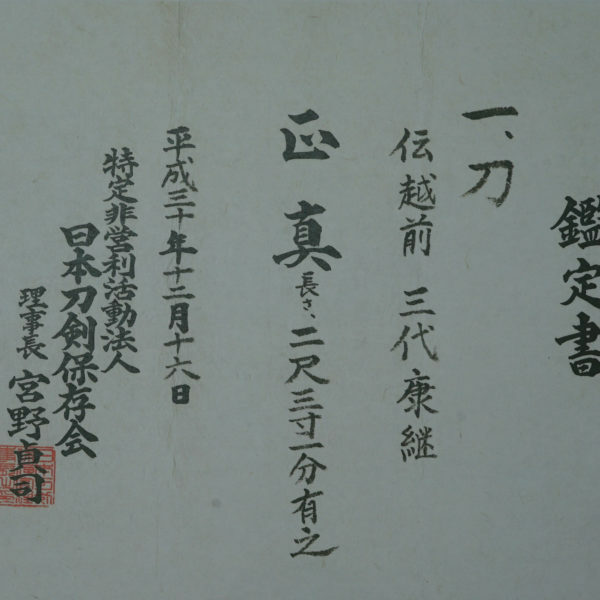 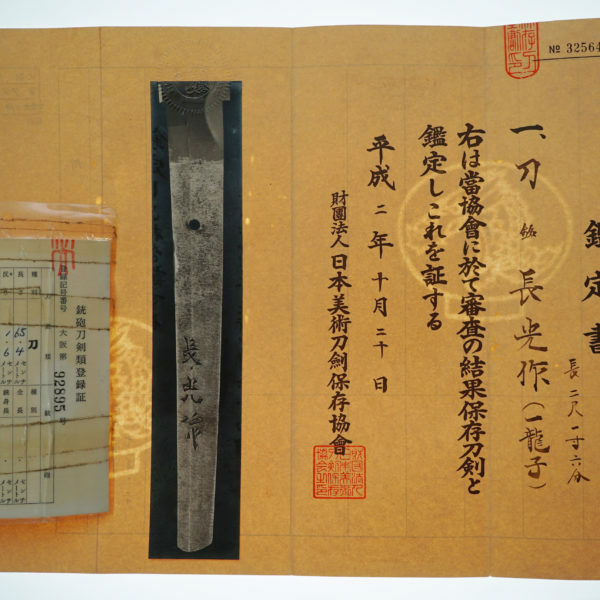 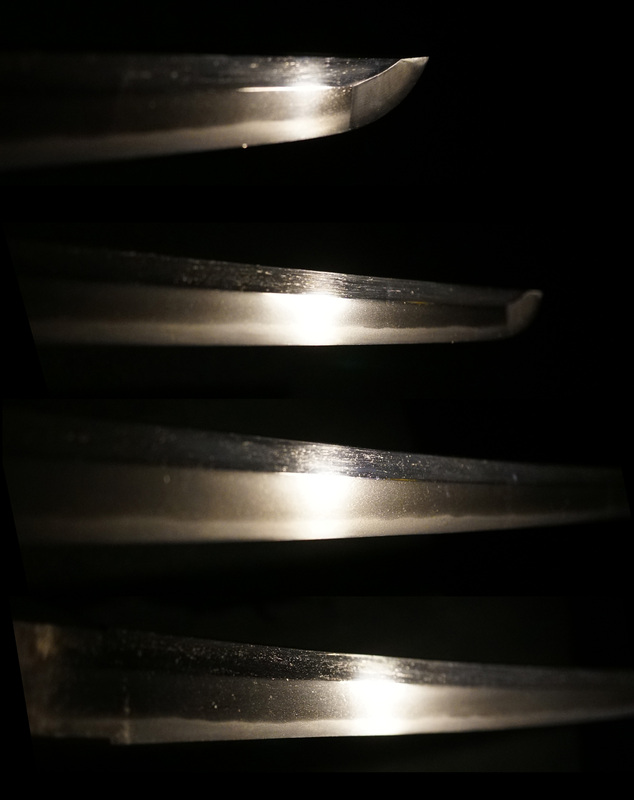 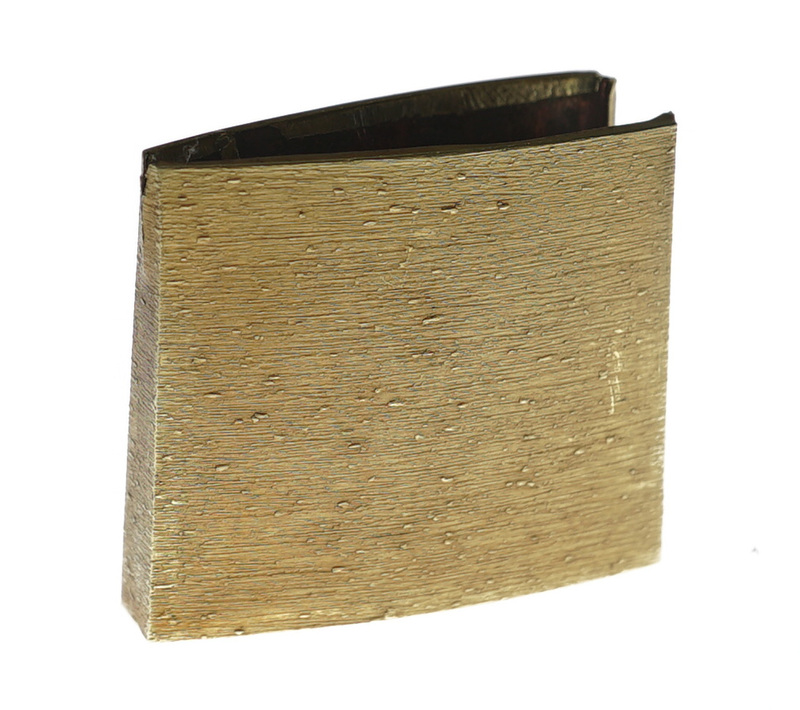 This is typical representation of Shintou era sword at the Commencement of EDO period. 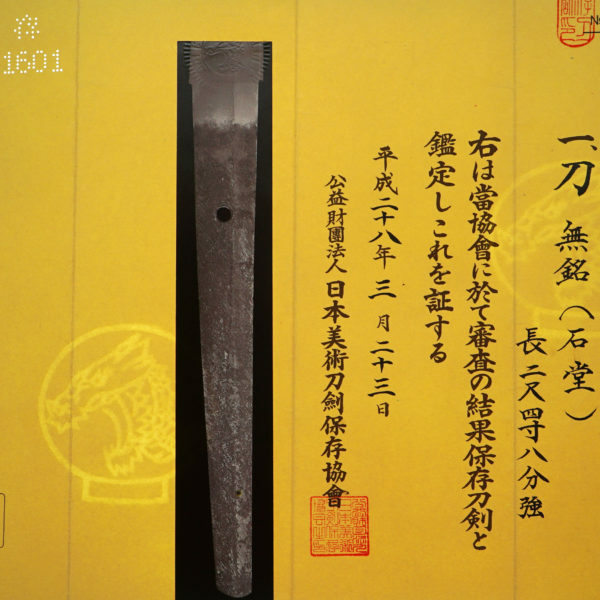 According to NBTHK, this sword was made by swordsmith MONJU SHIGEKUNI who hails from KII[紀伊国] currently WAKAYAMA prefecture. MONJU SHIGEKUNI is 2nd generation, 1st generation is famous as NANKI SHIGEKUNI who was top class swordsmith at SHINTOU era. 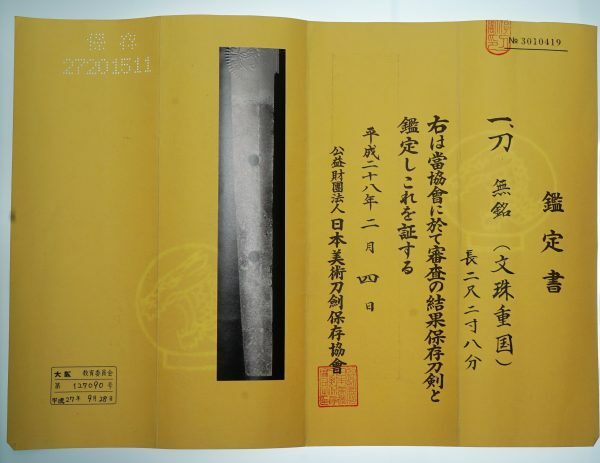 The SHIGEKUNI family belonged to famous YAMATO TEGAI school. SHIGEKUNI often made long length swords,so later period a lot of his swords were made “SURIAGE MUMEI” (had the blade cut short and no sign).